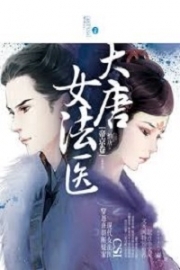 Read novel online » God Of Slaughter » Chapter 1294 Risk Life! God Of Slaughter Chapter 1294 Risk Life! Shi Yan felt so happy. It had been years and Shi Yan had never dared to expose his Devouring power Upanishad while fighting the others. He didn't dare to use this special ability to swallow the soul altars. It was because he understood the gruesome power of this Upanishad. Xuan He had advised him not to show it before he reached Incipient G.o.d Realm or was enthroned. It would keep him away from the G.o.d Clan's eye. Thus, he always felt like his hands were tied. However, he didn't need to conceal it now. He could release the evil inside him as he could show the Devouring power Upanishad as he pleased! Today's slaughter was the battle where he felt the most free. Although it was only him attacking the others, he felt satisfied. He slightly closed his eyes and checked his conditions. The deaths of thirty-five G.o.d warriors had supplied him the merest piece of energy. No need to talk about breaking to Second Sky of Incipient G.o.d Realm. It wasn't enough to refill his energy. He knew that it wasn't good. With his current condition, even if he could find the Immemorial Thunder Dragon's remains inside the mine, he couldn't check it or do anything to move it out, let alone gather the dragon's soul and resurrect him. He needed more energy. He needed to recover fast. It would be the best if he could increase his realm to Second Sky of Incipient G.o.d Realm. That would give him more confidence. "Take me to your Heaven Cloud Star. I'll help your Chen family destroy the G.o.d Clan warriors," Shi Yan turnted to Chen Lei. Chen Lei was restless and frightened. She nodded instinctively. 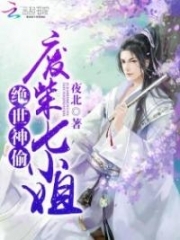 "Yes, yes..."
She thought that Ouyang Luo Shuang was the stronger warrior between these two. It was because Shi Yan's G.o.d power was exhausted that she couldn't feel his terrifying energy fluctuations. However, seeing that Shi Yan was like a hungry wolf entering a sheep pasture when killing the G.o.d warriors who had enslaved them for so many years brutally and quickly, she was surprised. She didn't even blink. She saw Shi Yan use an extremely evil power Upanishad to take the energy of the G.o.d warriors. He had even taken in their soul altars. She had never seen any power Upanishad as malicious as his. "Let's go to Heaven Cloud Star!" Shi Yan bellowed again. Chen Lei was frightened. She didn't dare to linger and urged her troopers. "Go! Go to Heaven Cloud Star!" The three gold beetle war chariots hissed and flew away, hurrying to take Shi Yan and Ouyang Luo Shuang away. At the same time, the Chen warriors came out of the mines. All of them looked bony; they were baffled when they looked at the scene and didn't know what had just happened. "They're dead! They're all dead!" "Oh my gosh! What happened?" They quickly discovered the bodies of the G.o.d Clan warriors and screamed. They looked at Chen Lei flying away and felt so happy. They thought that Chen Lei had done this. Chen Lei forced a smile and told them. "Guys, wait here. Don't go anywhere." The Chen family warriors nodded continuously. Before the gold beetle war chariots flew away, Shi Yan had left a signal at the direction of this mineral star. After he was done with the stuff in the Heaven Cloud Star, he could get here in any minute. Although his s.p.a.ce power Upanishad couldn't help him tear the s.p.a.ce and move between different star areas, it was as easy as flipping his hand when he wanted to travel within a star area. After Shi Yan and Chen Lei had left, DeCarlos appeared again secretly by that area. He rubbed his white hair and mumbled to himself. "Sigh, why doesn't he do the right thing now? Hmm, why does he need to waste his power for irrelevant things..."
The old man looked at the ma.s.sive mineral stars and said, "Old friend, don't be anxious. Soon, we will meet up again." It was a level 4 life star, which isn't really big. Because of its isolated location, it wasn't lively. Not many people visited this place. This life star had only one force of warriors and it was the Chen family. There were dozens of thousands of them, but their realms weren't high. Most of them were at Disaster Realm and Nascent Realm. The number of King G.o.d Realm warriors was small. A grand palace was built on an imposing mountain of Heaven Cloud Star. This palace used to be the Chen family's holy land, but the G.o.d Clan troop had claimed it. Chen Rong, the current Chief of the Chen family, lived with the other warriors of the family by the foot of this mountain. They could only lift their heads to look at their ancestral land. "Sir, that Avatar is just at Third Sky of Ethereal G.o.d Realm like you. If we join hands and try our best, can we kill him?" By the mountain foot, an elder of the Chen family looked at the holy land, his eyes filled with deep resentment. Three years ago, Avatar had captured his daughter and taken her to the mountain, saying that he would impart her the power Upanishad. It'd been three years since the elder had seen his daughter. Several days ago, a Chen family warrior had found his daughter's dead body in the valley with shabby, torn clothes and the terrible whipping marks on her skin, which was so horrible to see. After he had received his daughter's remains, he had shut himself inside the room, crying and screaming until his voice became hoa.r.s.e. Today, he went out of his room and came to see Chen Rong. Gritting his teeth, a trickle of blood dripped on the corner of his mouth. He riskly proposed to Chen Rong. Chen Rong looked at him, his face so sad. "Yan-ge, if we do our best, we will have around a fifty percent chance to win. But what if we win? The G.o.d Clan will send stronger warriors here. Have you ever thought of the consequence of our Chen family if Wright attacks us maliciously?" "So we just let them act like this forever?" Chen Yan's eyes were bloodshot. He ground his teeth, his face ferocious like the savage beast. "Yan-ge, I have the same grudge. I have the same feelings. I remember clearly how our fathers and uncles died," Chen Rong looked at him and sighed. "I told you to destroy Little Lan's beautiful face. You didn't listen to me..."
"How cruel would I be to destroy my daughter's beautiful face? I was afraid that she would hate me for the rest of my life! I couldn't do that!" shouted Chen Yan. Listening to him, Chen Rong clutched his chest, his face suffered. Chen Yan was bewildered. He reacted quickly and lowered his head. "I'm sorry, Chief. I didn't mean it." Chen Rong panted and waved his hand. "No, it's not related to you..."
"You're right. If I can be like you, our Little Lan wouldn't be..."
"Stop it!" shouted Chen Rong all of a sudden. Chen Yan lowered his head and sighed. Suddenly, a female's voice arose and called for help. Chen Rong and Chen Yan discolored and flew toward the source of the call. They came to the scene quickly. It was a lake where the Chen family warriors cultivated. At this moment, two young men of the G.o.d Clan were trying to abduct a young girl. They wanted to take her to the mountain. That girl couldn't be said really beautiful. She looked so thin and she had only the Disaster Realm cultivation base. She came to the lake to collect spirit fruits. The two young men of the G.o.d Clan pa.s.sed by the place and met her. They wanted to abduct her, so they told her that they would offer her a good opportunity. They would take her to the mountain of the Chen family to cultivate. They would teach her the secret techniques of the G.o.d Clan that wasn't allowed to be taught to anyone else. From her family and friends, the girl knew the consequences of the women who were taken to the mountain to receive the secret techniques. Of course, she didn't want to go with them. She screamed and cried for help. Chen Yan's eyes reddened when he saw the two young men attempt to do the same deed as Avatar. His flame of anger burst out. He didn't care about Chen Rong trying to stop him. He shouted and attacked the other two. With his Second Sky of Ethereal G.o.d Realm, he immediately urged the Wood power. The branches of the ancient trees in the woods immediately wound around the two young men at King G.o.d Realm and squeezed. Just like the ma.s.sive pythons, the branches squeezed off the two young men from the G.o.d Clan. They became pulps of blood and flesh. Blood dripped on the ground. The girl was so scared that she became ashen. Chen Yan had taken action with a big grudge. Chen Rong was dumbstruck, his eyes filled with horror. Chen Rong cried. He knew Chen Yan's act in his rage would create a big mess. He didn't know how many warriors of the Chen family had to die in Avatar's hands for this. "Chief, I... I...." The young girl sobbed. She was petrified. Chen Rong waved his hand weakly. Pondering for a while, he said, "No, it's not your fault. You should leave immediately." He had to think about how to deal with the coming trouble. While they were thinking, they didn't notice that the two pieces of jade on the young men's necks shattered at the same time after they perished. Shortly after, an indignant, wild sound came from the Chen family's holy land mountain. Chen Yan knew what had happened. Putting on a savage face, he shouted, "I'll risk my life with him!" Chen Rong forced a smile. "You have only Second Sky of Ethereal G.o.d Realm cultivation base. You're not his opponent. It's too bad this time." "Sir?" Chen Yan was bewildered. "Go all out!" Chen Rong took a deep breath and said. "I'd rather accept the destructive disaster to my family. We have to fight once. We've endured enough. This time, we will have hope. The Chen family and I will die altogether!" "Then you should die together with the Chen family!" A good-looking middle-aged G.o.d man descended from the sky. His body twinkled, but his eyes were filled with cold and malignant intent. In his eyes, the Chen family was like the low cattle he had. He could kill them or play with them as he pleased. ---- He did it all the time. He was the member of the n.o.ble Bradley family, the elite force that led the twelve families of the G.o.d Clan. As he couldn't stay in his homeland to enjoy his wealth but this isolated, rural area, if he couldn't amuse himself here with those low warriors, what should he do to entertain his boring life? Under the terrifying energy of the twelve electrical dragons, Chen Rong and Chen Yan were shaken. They discolored in fear. Although they were all at Third Sky of the Ethereal G.o.d Realm, Chen Rong now realized the difference between him and Avatar. They weren't at the same level regarding energy acc.u.mulation. He was so bitter as he knew that even if they were at the same realm, the warriors from the four great clans always had an innate advantages. Chen Rong felt so dismal. You're Read God Of Slaughter Chapter 1294 Risk Life! online at NovelOnlineFull.com. You can use the follow function to bookmark your favorite novel ( Only for registered users ). If you find any errors ( can't read,broken links, can't load photos, etc.. ), Please let us know so we can fix it as soon as possible. And when you start a conversation or debate about a certain topic with other people, please do not offend them just because you don't like their opinions. Current Time is 23-Apr-2019 10:52:28 AM.